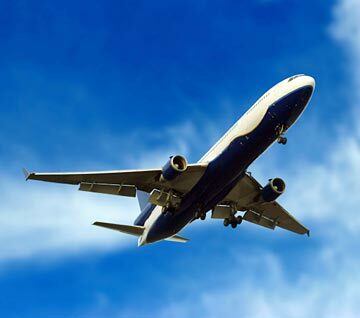 With summer’s approach come plans for travel, including flying long distances. But the prospect of a long flight often raises health concerns. Especially in passengers who are older or have certain conditions, air travel and the related stress can have an impact on health. Here are a few trouble areas and some precautions you can take. Deep-vein thrombosis (DVT). Not all experts agree on an association between DVT (blood clots in the legs) and air travel. Symptoms may not occur for several days, so it’s difficult to establish a cause-and-effect relationship. If there is one, it’s likely due to prolonged inactivity. Limited airline space can discourage moving about. Dry cabin air may also increase the risk of DVT. Prolonged inactivity slows circulation, allowing small clots to form in the legs and feet. The body’s own clot busters kick in for most people, but in people with certain risk factors, the clots can get big enough to block a vein. These include cancer, heart disease, infection, pregnancy, and obesity, as well as recent injury or surgery. Smoking also raises the risk, as do birth control pills, selective estrogen receptor modulators, and postmenopausal hormones. DVT in the calf aches and gets worse over several days. The pain may be accompanied by warmth and swelling in the area around or below the clot. A clot in the thigh or at the juncture of the thigh and abdomen causes similar symptoms. The skin may redden or turn bluish. If you experience any of these symptoms, see a doctor; be sure to mention that you’ve recently traveled on a plane. If you’re not at risk for bleeding and can tolerate aspirin, take a baby aspirin (81 milligrams) one-half hour before takeoff. Get up from your seat and walk up and down the aisle at least once an hour. If you’re pregnant, request an aisle seat so that you can get up easily. Drink at least 8 ounces of water every hour or two and avoid alcohol, caffeinated beverages, and salty foods. Keep the space under the seat in front of you empty so you can exercise your feet and ankles occasionally. If you have any risk factors for deep-vein blood clots, consult your clinician. She or he may suggest support socks or stockings. Reduced oxygen and air pressure. At cruising altitude, airline cabins have lower-than-normal air pressure and oxygen levels. Blood oxygen saturation during commercial flights can be 5%–10% lower than normal. If you’re in good health, your body can compensate, but if you have a lung condition, such as chronic obstructive pulmonary disease, or cardiovascular disease, you may need supplemental oxygen, even if you don’t normally use it. Ask your physician for advice several weeks before your flight. If you need oxygen, call your airline to find out its policies and the cost. Airlines generally require advance notice, and the FAA doesn’t allow passengers to bring their own oxygen supply on commercial aircraft. Most airlines require a letter on your doctor’s letterhead confirming your need for supplemental oxygen while flying, along with the required oxygen flow rate. You’ll need a copy for every flight segment. Airline charges for oxygen range widely. Ear pain. During takeoff and landing, cabin air pressure changes rapidly, disturbing the balance of pressure between the outer ear and the middle ear. Many people feel pain when the higher pressure stretches the eardrum, the membrane separating the outer and middle ears. The Eustachian tube, which connects the middle ear to the back of the nose and throat, helps equalize the pressure on the eardrum (and causes the welcome pop you feel when the balance is restored). You can help the process by swallowing, chewing gum, yawning, or opening your mouth wide. A trick called the Valsalva maneuver may also work: Close your nose with your thumb and index finger and exhale gently against a closed mouth. Another option is EarPlanes, special earplugs that even out the pressure on the eardrum. Jet lag. Crossing time zones often leads to jet lag, which can result in headaches, upset stomach and nausea, difficulty concentrating, and trouble sleeping. To help alleviate it, get plenty of sleep before you begin your trip. Keep well hydrated before, during, and after your flight. Change your wristwatch to the new time. As soon as you arrive at your destination, adjust your sleeping and eating schedule to the new time zone. This can be difficult if you’ve crossed many time zones, but try to force yourself to stay awake until the local bedtime, and get up in the morning when the locals do and get outside in the natural light. If you simply cannot stay awake until evening on the day you arrive, nap for no more than an hour or two. Engaging in social activities can also help your body clock adjust. When trying to stay awake, eat protein and vegetables and avoid starchy foods like pastas, breads, and rice.